Faroe Petroleum, the independent oil and gas company focusing principally on exploration, appraisal and production opportunities in Norway, the Atlantic margin and the North Sea, has announced an oil and gas discovery at the Pil exploration well in the Norwegian Sea (Faroe 25%). The Pil well (6406/12-3S) encountered a gross hydrocarbon-bearing reservoir section with approx. 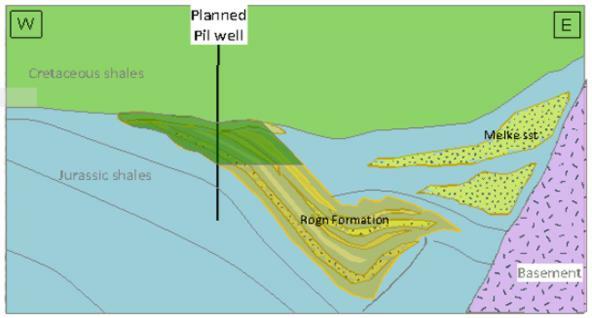 135 metres of oil and 91 metres of gas in the Jurassic reservoir of the Rogn Formation, which has proved to be an effective reservoir at the Shell-operated Draugen oil field, located 60 kms to the north east. Preliminary results based on extensive coring, wireline logs and pressure data show that the well has encountered oil and gas in reservoir sands with a very high net to gross ratio. Extensive data have been collected, including the coring of the hydrocarbon-bearing zone and the partners in the well have decided that a drill stem test will be undertaken once total vertical depth has been reached. Subject to positive test results, an immediate side-track well is expected to be drilled to confirm the lateral extent of the Rogn reservoir on this discovery. The Pil discovery has de-risked further prospectivity within the licence (Licence PL 586) which is being assessed for possible fast-track drilling. 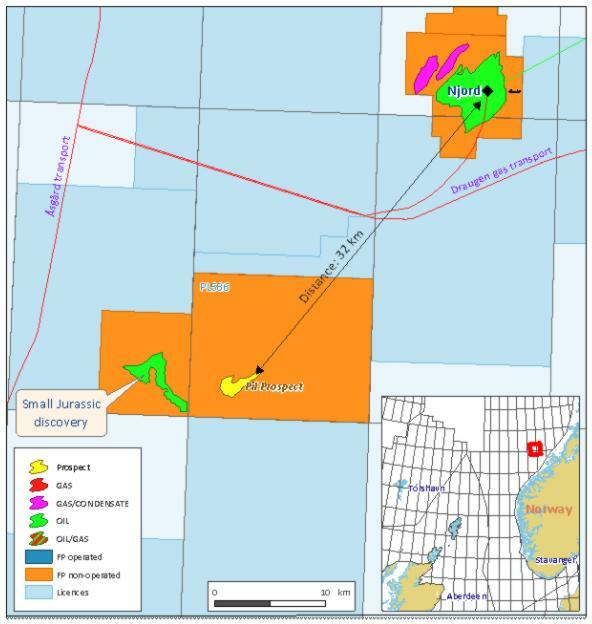 The Pil Prospect is located within tie-back distance (33 kms) of the Njord platform in which the Company holds a 7.5% working interest. The vertical depth of the well is currently at 3,605 metres. The Pil licence drilling operations are operated by VNG Norge (30%) using the Transocean Arctic drilling rig with partners Spike Exploration Holdings (30%) and Rocksource Exploration Norway (15%). 'We are very pleased to announce the oil and gas discovery at the Pil prospect and await the results of the production test. This discovery builds on Faroe's already significant position in this prolific part of the Norwegian Sea and we look forward to unlocking further potential on this licence. Rocksource states that preliminary volumetric estimates indicate recoverable resources above the estimated pre-drill range of 20-50 million barrels of oil equivalent and that the partnership has decided to conduct a production test, and a potential side track into the adjacent Bue Prospect is under evaluation.